Anyone for a top-up? Here’s a handy guide to the main chores and checks you should be aware of to keep your car running smoothly. As well as being critical for safe driving, having well-maintained tyres can save you money in fuel and tyre replacement. To keep your tyres in tip-top condition, check the air pressure at least monthly, and always try to top up before a long journey. While you’re at it, get into the habit of checking your tread depth – all you’ll need is a 20p coin and this handy video guide to get started. As a rough rule of thumb, you should aim to replace your car’s wiper blades every six months – but they can last a little longer during summer months or fair weather. Look out for tell-tale signs of damage like wonky frames, visible cracks and loose bits of rubber. And if they start jittering, catching or screeching like a bag of cats when you turn them on, you should probably take the hint and replace them a little sooner. Most manufacturers will recommend you change your car’s brake fluid once every two years. Not only is it critical for making sure your car can be stopped safely, it’s also one of the fluids that lubricates your car's braking system and keeps things working as they should. Don’t be tempted to grab an old turkey baster and flush your brakes at home – this requires specialist equipment and attention, so bring your car in to your local Arnold Clark Service department and we’ll help you sort it. Manufacturer recommendations vary vastly with engine oil; some will recommend you replenish it every 5,000 miles, others every 10,000 miles. The amount you drive your car and the distances you tend to drive are also important factors. The best way to gauge it? Grab a dipstick and roll up your sleeves. 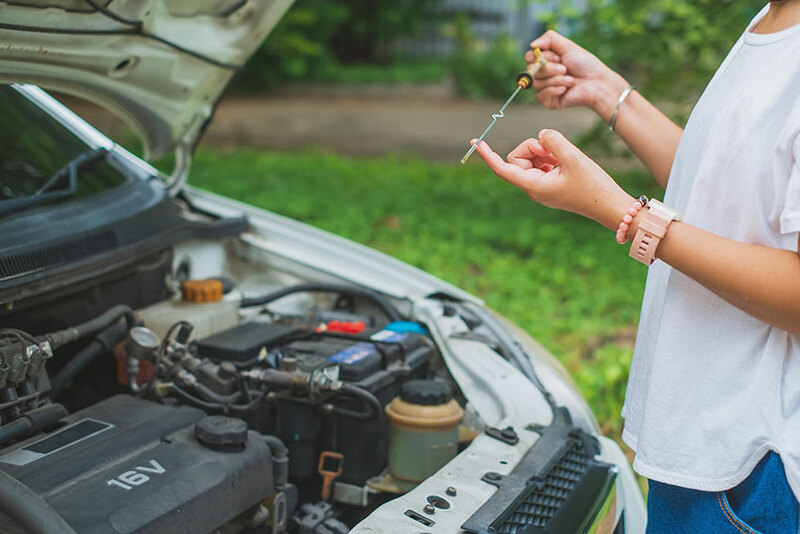 The oil level should sit somewhere between the minimum and maximum marks on the dipstick – if it falls below the lowest mark it’s time for a top-up. It’s also worth checking the consistency of the oil – if it’s overly gritty and dark, it could be a sign it needs to be fully replaced. This step-by-step engine oil guide will help you keep on top of things. Still unsure? Book a free vehicle health check for a little extra peace of mind today.